What are the exercises that help adults stay healthy and active? Unlike children who are still very young an active, adults requires more energy and will to keep healthy and fit because many organs of the body slows down with age including body metabolism. When an adult engages in work out or daily exercise, its keeps them safe, healthy and strengthens the body muscles. Exercise also increase body metabolism and lower stress as well as reduce pressure in the body of either male or female. 1. 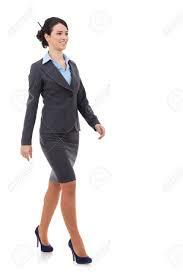 Walking: One of the best exercise/work out that makes adults active and healthy is walking. Its not so expensive, it requires no special planning to start, its requires no expert but the only thing required here is your time and your pair of sneakers and you are good to go. It can also be done if you are in the neighborhood and you decide to walk some distance to a friend place, its very healthy. The only thing you need to consider is your walking posture and start with few distance and later you can then increase it with time. 2. Cycling: Another exercise i recommend for adults is cycling. Cycling makes your body active and fit with lot of impact all over the body. It can make you lose weight by shedding excess fat and burning excess calories which is healthy for grown ups. Working out with cycling for adults works on the joints while pedaling either using a gym bicycle like the stationary bicycle or the normal mobile bicycle. To avoid getting tired easily or some back pains while pedaling, you could try bikes that enables you to sit while the pedals and handle bars are fixed at the front. You will enjoy riding and at the same time long life awaits you while you burn of some fat and the body joints stretched. 3. Yoga: Another best exercise for adults includes Yoga which allows you to stretch your body to strategic positions. Yoga is one of the best exercise recommended for adults because it deals with lot of stretches and and balancing which makes an individual (adults) active and healthy. 4. Swimming: Swimming is a good exercise and has been described as one of the best work out that helps in the improvement of body flexibility and balancing in Adults. The body temperature drops due to the coldness of the water and it also reduces stress around the bones. Even women who enjoys swimming records a considerable strength in bone and muscle stretches. The different swimming styles or strokes works on body flexibility especially in the arm, leg and shoulder regions but its healthy if you can find time to swim regularly due to the health benefits. These are ways to stay fit, active and healthy as an adults through the exercises described above. Its not a must you rush this but you may start with one and gradually find time for the other, it pays. Thanks for reading.